Why Are So Many Conservatives Liberal? Is Playing the Hitler and Nazi Card Always Wrong? “A successful Christian school could face closure for failing to uphold British values,’ The Daily Telegraph has reported.” Sowing the seeds of self-destruction. 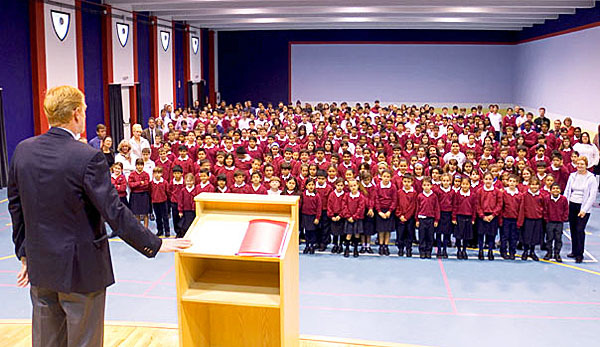 Regulators have informed a Christian school that it needs to have a Muslim imam come in to lead assemblies for its students in order to teach “British values” including diversity, or face the possible penalty of closure, according to a new report from the Christian Institute. The threat comes as part of a series of new school inspections imposed by the government because of a “Trojan horse” scandal where several public schools in Birmingham, England, were taken over by their managers, who then introduced an Islamist teaching standard. The nation’s Office for Standards in Education, Children’s Services and Skills then demanded that all schools teach “British values,” including diversity, even in the face of mounting opposition from educators because of the ripple effect of such regulations. Opposition also has come from the National Association of Jewish Orthodox Schools, whose officials said they were “appalled” by the demands. Bingham reported the details were in a letter to Education Secretary Nicky Morgan from the Institute, which is providing guidance to the school. “In the latest case inspectors are understood to have warned the head that the school, which was previously rated as ‘good’ that it would be downgraded to ‘adequate’ for failing to meet standards requiring it to ‘actively promote’ harmony between different faiths because it had failed to bring in representatives from other religions,” he reported. To read the rest of the article go to WND.